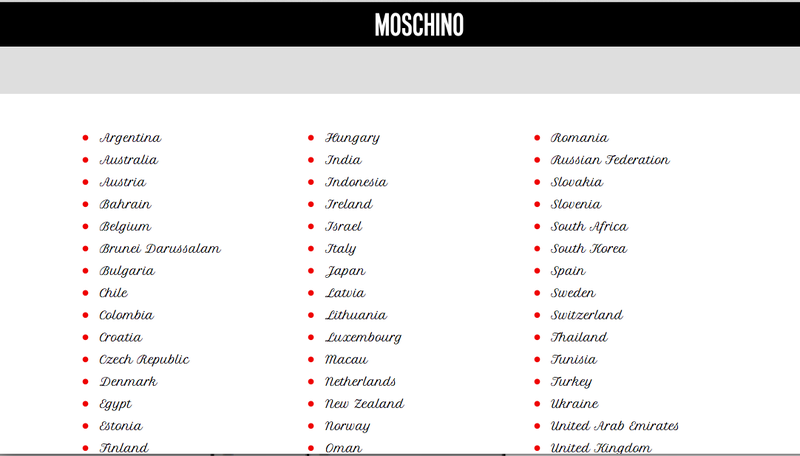 Pretty bad that Canada isn’t listed as an option for a so-called fashion brand, but who cares, the big thing is that Moschino is actually getting pretty pretty savvy with their marketing, and using the leverage from the VMAs to ramp up their film production, modelling, and global convergence with their insane videos1!! His most recent colab with Katy Perry in his fucked=up videos are a must watch for anyone that likes to see how far the showbiz industry is taking fashion! This new move is a great strike against the competition with Katy Perry getting involved in the pop-star fashion scence since Taylor has been dominating, and before that Rihanna and Paris were dominating, but now Paris is coming back with her Kids line, and Nikki is pretty much coming in to kill everything with her new cat’s eyes handbag lines. Last, but not least, there is Kristen Dolly’s little accessories workshop that has the cutest designs, and most authentic hand-made talent I have come across on my neon wicca feed, of which the technicolor Moschino also graciously spams with his pornagraphic videos, and must say that Dolly’s got some great designs and that Big JS should get that girl a contract to make some cute chokers!! Look at the talent on these things!! WHAT AN AMAZING DESIGN — CHECK OUT THE HALLOWEEN STYLE HERE! GO AHEAD FOLLOW THE LITTLE FIEND AND SEE WHAT OTHER STUFF IS CONCOCTED AND WHETHER THE YOUNG DESIGNER WITCH WILL CREATE SOME CRAZY NEW DESIGNS!